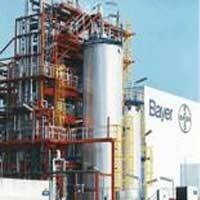 n line with its EUR1 billion investment plan, German chemicals company Bayer MaterialScience (BMS) recently held a ground breaking ceremony for the third phase of the expansion of its Polymer Research & Development Centre (PRDC) in Shanghai, China. It will be operational by the second half of 2012. "China is the largest market in the Asia-Pacific region and the third largest single market for BMS globally. China and Asia are central to our global strategy," said Bayer's Management Board Chairman Marijn Dekkers. "This expansion of our R&D facility is an important part of our large and continuous investment here in Shanghai. "The expansion of our centre again underscores our company's strong commitment to innovation as a foundation for our future growth. Central to this strategy is driving closer proximity to our customers - ensuring that we are positioned to quickly respond to their needs." After the expansion, the number of employees at the PRDC is planned to increase from currently 130 to nearly twice that number. The company says that the PRDC will then have a full range of R&D expertise and include solutions-focused offerings for customers in specific industries such as mobility, renewable energy and construction. Its R&D activities will restructure to focus on distinct industries, enabling the centre to provide industry-specific solutions.